Wind turbines have a variety of data requirements, such as wind speed, wind direction, generator voltage and current, power production, blade pitch, and maintenance issues such as the number of hours the blades have been rotating. This information is transmitted to a PLC or dedicated computer controller. The instruments measuring the wind are located on the nacelle. 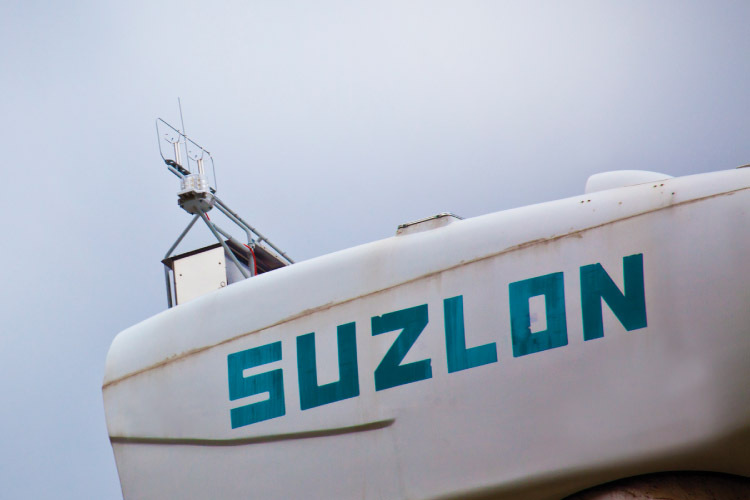 Data is constantly acquired about the winds, and the information is gathered and transmitted through a data acquisition system connected to a network link. 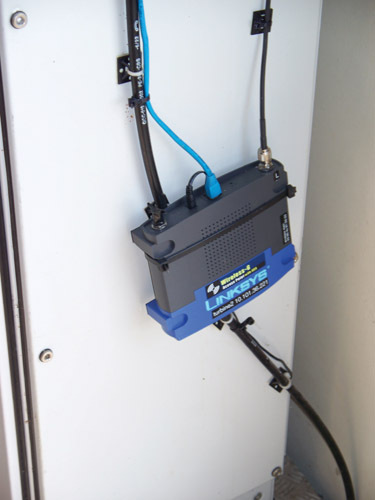 Figure 1 shows an example of a data access point link that takes data from the wind turbine and sends it over a telephone, Internet, or Ethernet connection. All of this data is sent to a central location and archived so that it can be retrieved and analyzed at a later date. Over time, a continuous record of the wind is created and can be matched to the turbine performance. This information also indicates which months produced the best winds and whether other wind turbines should be located nearby. Some of the data that are gathered can pinpoint maintenance issues. For example, the total number of hours a generator produces electrical power, and the amount of voltage and current that is produced can be tracked. This information is compared to maintenance records to determine the life of bearings, gears, shafts, and other mechanical parts of the wind turbine. The anemometer is an instrument that measures wind speed; it is mounted on the top of the nacelle, usually near the back. Figure 3 shows a typical arrangement. The signals from the anemometer are sent to the controller, where they are used to set blade pitch to the optimum angle. Figure 2 An ultrasonic wind measurement instrument measures wind speed, wind direction, and air temperature. The ultrasonic wind instrument also has an integrated heating circuit that melts snow and ice during the winter months to ensure that it operates accurately. The ultrasonic sensor has multiple sensor tips, and an ultrasound signal is sent between the tips. The speed of the ultrasonic signal is constant when there is no wind; when the wind begins to blow, it causes the ultrasonic pulse to be changed, and this information is converted to wind direction and wind speed. Anemometers come in one of two types. In a rotational anemometer, the rotation of an element serves to measure wind speed. The second type, called a cooling-power anemometer, uses heat transfer from an object to air at elevated temperature to determine wind speed. When the anemometer is connected to the controller, it can sample wind speeds several times a second and provide an average as needed. One type of rotational anemometer uses a simple permanent magnet DC generator, which is driven by spinning cups mounted on a shaft. When the wind blows into the cups, they rotate in proportion to the wind and generate an output voltage that is proportional to the wind speed. Another type of rotational anemometer uses the spinning cups to catch and sample the wind, but instead of turning a small generator, the anemometer produces a series of electrical pulses that are proportional to wind speed. 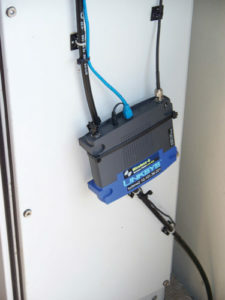 The pulse stream is converted into wind speed data for recording or display. The anemometer is calibrated to within 0.5 mph so that it can provide accurate wind speed data. Figure 4 shows a cup anemometer with a wind direction instrument on the same shaft. 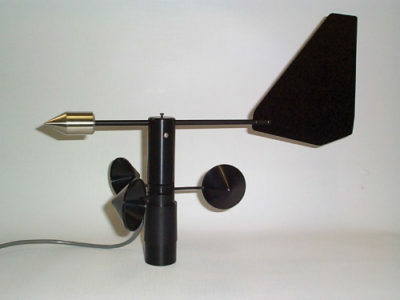 Figure 4 Cup Anemometer. 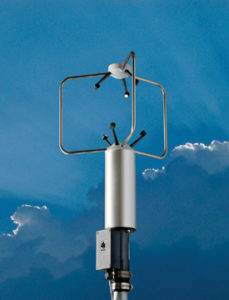 A cup anemometer measures wind speed, and its wind vane shows the direction of the wind in a single package. This sensor uses an electronic amplifier. The wind direction indicator (also known as a wind vane) is a blade on a shaft that is rotated by the wind until it is pointed in the direction from which the wind is blowing. Typically, it is mounted on the same shaft as the anemometer, as shown in Figure 4. In this case, the shaft is connected to the wiper of a 20-kΩ potentiometer specifically selected for linearity. The movement of the shaft can change the resistance from 0 to 20kΩ within one revolution of the shaft (360°). A signal is developed across the potentiometer that is proportional to the wind direction. The signal is sent to the PLC analog input module as a 4–20 mA current signal, where it can be used to determine the correct direction of the nacelle. In addition, the wind data can be stored for later analysis. The supervisory control and data acquisition (SCADA) system has been used in industry for many years to monitor important production information. The SCADA system for a wind turbine collects data on a single wind turbine or on a large number of wind turbines for a wind farm. The system can be used to start, stop, or reset wind turbine generators remotely, either individually or in groups of wind turbines in a wind farm. The SCADA system can collect information on vibration, generator power output, low- and high-speed shaft data, diagnostic data for the generator and data from the gearbox. Wind speed and direction data are also collected and correlated with the power output of the generator. The data from the SCADA system can also track maintenance problems for comparison with similar wind turbines, as well as track maintenance that has been performed on each wind turbine. After a few years of data gathering, the data can be used for production predictions and load planning. When a large number of wind turbines on a wind farm are connected to the grid, the SCADA system can help with grid loading and integration with coal-fired and nuclear-powered electrical generation plants. SCADA systems have been used for coal-fired and nuclear-powered electrical generation stations over the years, and much of the electrical production and generator data are similar to the data collected from wind turbines. Security information, which can include video camera or fire protection information for each wind turbine, is also provided through the SCADA system. The SCADA data serves two purposes. Data routed to the PLC or computer operate and control the wind turbine. A second purpose is to archive performance information over a long period of time. The SCADA system can use a telephone, Internet, Ethernet, RS232 serial system, Profibus, wireless, and other network protocols to send data between wind turbines, their PLCs or computers, and the network between wind turbines on a wind farm. Because some of the data are proprietary, basic network protection such as firewall software is used to protect the information from outside intrusion. The SCADA system also has a SCADA server, which is a dedicated computer on the network that gathers and stores the data. Name two types of anemometers. What is the purpose of an anemometer on a wind turbine? What is wind direction data used to control? What is a supervisory control and data acquisition (SCADA) system? What is the data collected by a SCADA system used for? The SCADA system controls the turbine and collects information over a long period of time to track wind turbine performance and to determine if maintenance is needed.